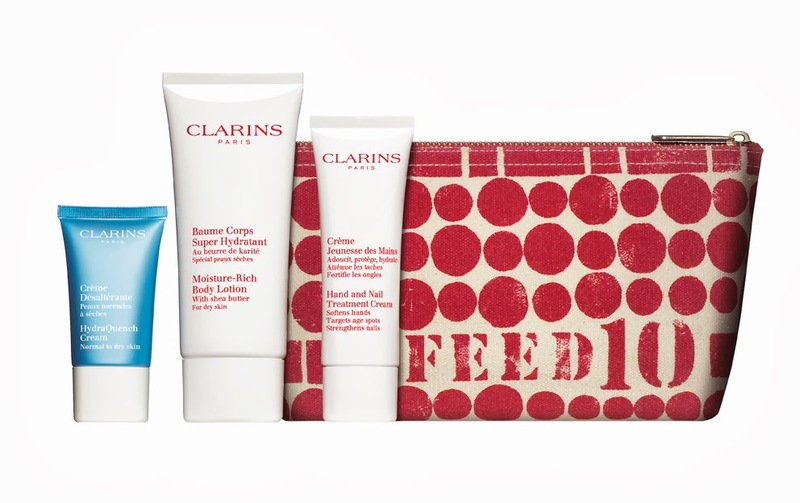 Not that anyone needed an excuse to stock up on affordable-yet-always-luxe Clarins products, but for the third year in a row the French beauty brand has teamed up with FEED Projects - the amazing, hard working Lauren Bush-founded charity that has been fighting world hunger since 2006 - to unveil a limited-edition kit that keeps you looking good while feeling great. 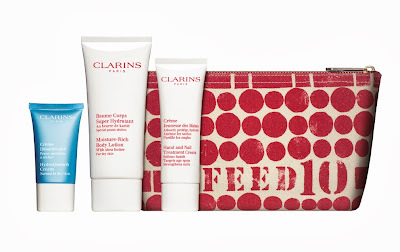 With every sale of the reusable canvas pouch ($56.00) — which houses three of the brand’s best-sellers: Clarins HydraQuench Cream, Clarins Moisture Rich Body Lotion and Clarins Hand and Nail Treatment Cream - 10 wholesome meals will be provided to children in unprivileged communities through the United Nations World Food Programme. Thanks to Clarins’ fans everywhere, the brand has already donated over half a million meals and is on track to beat their goal of supplying one million over the next two years. Get yours now!